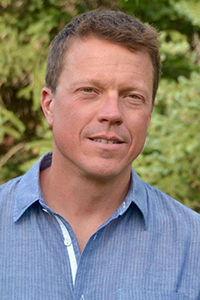 Forrest Hoffmaster has been named chief executive officer at New Seasons Market under a new leadership structure. With the move, announced Tuesday, New Seasons’ top management shifts from dual-president setup. Hoffmaster had served as co-president along with Kristi McFarland, who now becomes chief strategy officer. New Seasons tabbed Hoffmaster (left) and McFarland as co-presidents in January 2018 with the exit of CEO Wendy Collie, who stepped down after serving in the role since December 2012. Hoffmaster joined New Seasons in 2016 as chief financial officer. During his tenure a co-president, he oversaw business development, real estate, finance, technology and data and fostered the company’s partnership with Conscious Capitalism in advocating for sustainable business practices, the retailer said. His 25 years of financial and accounting experience comprise 19 years in grocery retail, including at H-E-B’s Central Market and at Whole Foods Market. In her new role as chief strategy officer, McFarland (left) is responsible for shaping New Season’s business strategy around its mission of providing a retail experience driven by a healthy, sustainable food system. She came to the company as chief people officer in 2014. 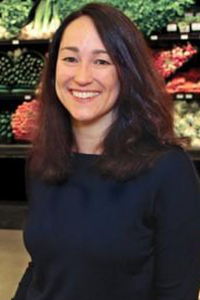 As co-president, she oversaw people strategy, advanced progressive workplace practices, led community relations and bolstered brand engagement, according to New Seasons. Rounding out the C-suite at New Seasons are Mark Law, chief operations officer, and Mary Wright, chief marketing officer. Overall, New Seasons operates 25 stores in Oregon, Washington and California, including four New Leaf Community Market stores in Northern California, and focuses on locally produced and organic food and groceries. The company describes itself as “the world’s first B Corp grocery store,” certified as meeting certain standards for social sustainability, environmental performance, accountability and transparency.